Sexual harassment is not only against the law, it can be debilitating. If you believe you have been subjected to sexual harassment in the workplace, such a claim, please take the time to fill out our Potential New Client Information and Fact Sheet or Call Us Today. To assist you in determining whether you have been a victim of sexual harassment, the following information is provided as a guide. If after reading the below, you feel you may have a valid claim for sexual harassment, do not hesitate to call our office. We understand that when a person feels that they have been sexually harassed at work, they need and deserve a comfortable, private atmosphere to discuss their experience. 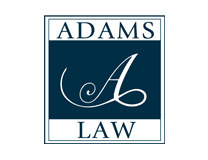 You can be assured that Adams Law takes sexual harassment claims very seriously and we give you our word that we will handle your telephone call or conference with the respect and dignity it deserves. Under state law and its regulations, “sexual harassment” is defined as unwanted or unwelcome sexual advances, requests for sexual favors, or visual, verbal, or physical conduct of a sexual nature if: (1) submission to such conduct is made a term or condition of employment; or (2) submission to or rejection of such conduct is used as a basis for employment decisions affecting the individual; or (3) such conduct has the purpose or effect of unreasonably interfering with an employee’s work performance or creating an intimidating, hostile, or offensive working environment. Physical conduct, such as touching, assaulting, and impeding or blocking free movement. Sexual harassment is prohibited by both federal and state law — Title VII of the Civil Rights Act of 1964 and California’s Fair Employment and Housing Act. In 2004, California passed mandatory training laws that require all employers with fifty (50) or more employees to provide all supervisory employees with a minimum of two hours of sexual harassment training every two years, within six months of starting a supervisory position. Unfortunately, despite that legal mandate, employees are still being subjected to unlawful and sexually harassing conduct. The effects of being subjected to such conduct can be severe. No one should be subjected to such harassment.